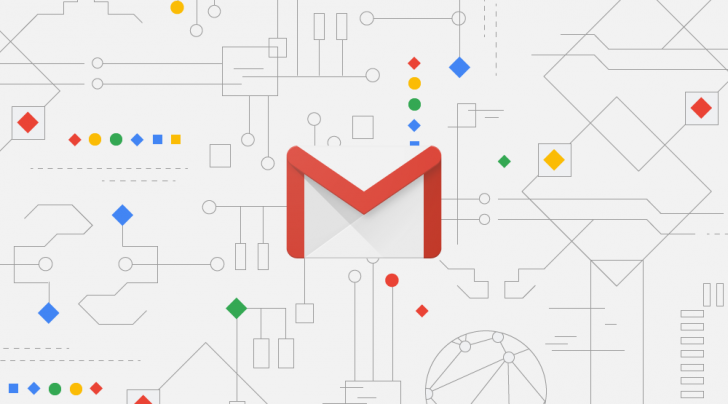 It’s been less than a year since the new Gmail web UI rolled out, and the client has been steadily gaining new features , like snoozing of email. 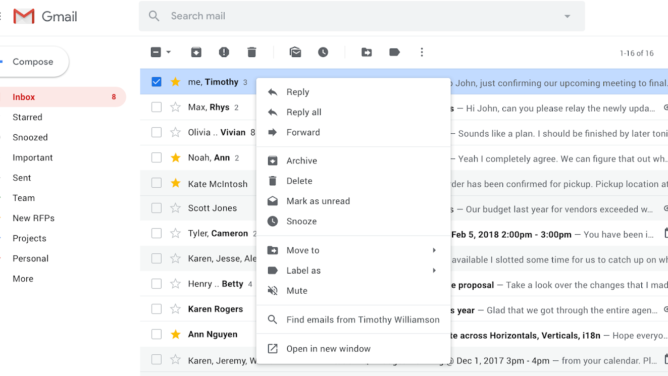 For a service as versatile as Gmail, the right-click context menu has been rather sparsely populated, with just four actions available. There’s good news today — soon twelve commonly-used actions will be possible through the right-click menu. Users can currently right-click (or long-press on a touchscreen) to move email between tabs, archive, mark as unread, and delete email. With this update, a lot more options will be available, including replying, forwarding, and muting. My personal favorite will probably be “Open in a new window.” As a tab junkie, I control-click on emails and fill up the tabs, then browse through them later, but I can’t do this when using the laptop in tablet mode. Adding it to the right-click menu solves this problem, and I can even mark several emails and open them in tabs of their own with a single tap. The roll-out for this update begins today, with G Suite users getting it first. Regular Gmail users should, in all probability, get the update in the weeks to come, if not sooner. 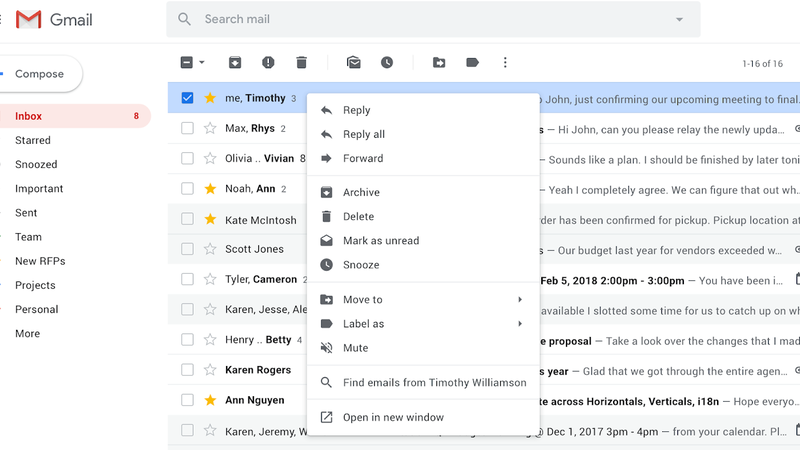 If you’re a reluctant Inbox refugee, these new features may not solve all your woes, but they’re some consolation.